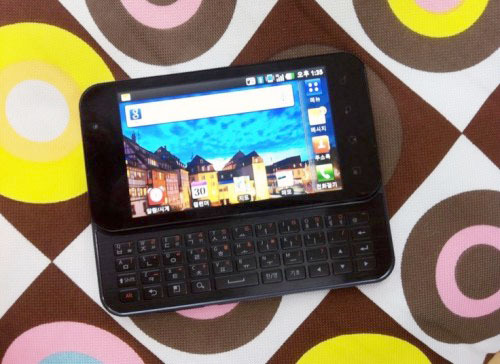 The LG Optimus Note has been leaked from South Korea. The Note is no relation to Samsung's latest announcement the Galaxy Note, nor does it confirm to Samsung's newly created device market, the "Note" market. The phone is expected to just release in South Korea as it is, but you should expect a similar model (maybe even the same phone exactly) hit North America (Sprints upcoming Optimus Slider perhaps) andÂ Europe.